From free flow of goods and services to elimination of cascading of taxes, the potential benefits of GST to Indian economy are many. When GST or goods or services tax rolls out on July 1, it will be the biggest tax reform since Independence. GST will subsume a large number of central and state taxes into a single tax, paving the way for a common national market. From free flow of goods and services to elimination of cascading of taxes, the potential benefits to Indian economy are many. It is estimated that GST could raise GDP or gross domestic product growth by 1.5-2 per cent in the long term. GST is a destination-based tax, as against the present principle of origin based taxation. The new tax regime follows a multi-stage collection mechanism wherein tax is collected at every stage and the credit of tax paid (input tax credit) at the previous stage is available as a set-off at the next stage of transaction. This helps to eliminate "tax on tax" or the cascading impact of tax. GST shifts the tax incidence near to the consumer and benefits the industry through better cash flows and better working capital management. From consumer point of view, GST helps to bring down overall tax. Input tax credit: This means that at the time of paying tax on output manufacturers or service providers, for example, can reduce the tax by the amount they have already paid on inputs. For example, a manufacturer's total tax on output comes to Rs 5,000 while tax paid on input (purchases) is Rs 3,000. In this case, the manufacturer needs to deposit only Rs 2,000 (Rs 5,000 - Rs 3,000) as tax, after claiming credit of Rs 3,000, thus reducing the overall incidence of tax on final product. But credit available to the recipient (the manufacturer in this case) only if invoice is matched. So GST helps in checking evasion of taxes. GST rates: GST rates on goods and services have been broadly classified into four tax rates: 5 per cent, 12 per cent, 18 per cent and 28 per cent. Some goods and services would be exempt. Precious metals like gold will attract a separate tax rate of 3 per cent. A cess will be levied over the peak rate of 28 per cent on specified luxury and sin goods. Under GST, businesses are required to file returns each month. But the government has let companies file late returns for the first two months so that they can adapt to a new online filing system. 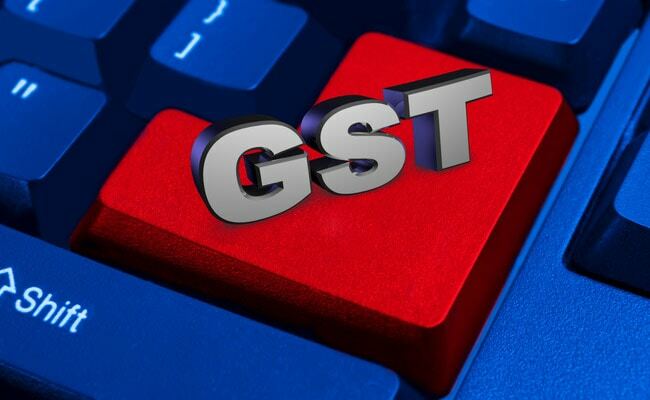 CGST, SGST, IGST: The GST to be levied by the Centre would be called Central GST (CGST) and that to be levied by the States (including Union territories with legislature) would be called State GST (SGST). An Integrated GST (IGST) would be levied on inter-State supply (including stock transfers) of goods or services. This would be collected by the Centre. Import of goods would be treated as inter-State supplies and would be subject to IGST in addition to the applicable customs duties. Exports will be treated as zero-rated supplies which means no tax will be payable on exports of goods or services. However, exporters can claim input tax credit. Who is liable to pay GST? Businesses with an annual turnover of Rs. 20 lakh (Rs. 10 lakh for special category states) would be exempt from GST. A composition scheme (to pay tax at a flat rate without input credits) is available to manufacturers and service providers having an annual turnover of up to Rs 75 lakh. The composition scheme is optional. Stocks in transition: On stocks unsold before GST rollout, manufacturers and retailers have been allowed to carry forward input tax credit for 90 days. On such goods they can claim as much as 60 per cent of the input tax credit on stocks lying unsold up to June 30. Anti-profiteering mechanism: An authority will be set up to see that any reduction in rate of tax of any supply of goods or services for the benefit of input tax credit will be passed on the recipient by commensurate reduction in prices. Anti-profiteering clause in GST is a deterrent which is not intended to be used unless forced to, says Finance Minister. Decision mechanism: GST Council will make recommendations on everything related to GST including laws, rules and rates etc. Union Finance Minister Arun Jaitley heads the panel while ministers of finance or taxation of each state are its members. Decisions in the Council are taken by a 75 per cent majority. Centre and a minimum of 20 states are required for majority because Centre would have one-third weightage of the total votes cast and all the States taken together would have two-thirds of weightage. Not part of GST: Petroleum products such as petrol, diesel and aviation turbine fuel have been kept out of GST as of now. The GST Council will take a decision on it at a later date. Alcohol has also been kept out of GST. Administrative control: To ensure single interface, all administrative control of 90 per cent of taxpayers having turnover below Rs 1.5 crore would vest with state tax administration while 10 per cent with the central tax administration. Further, all administrative control over taxpayers having turnover above Rs. 1.5 crore will be divided equally between central and state tax administrations. States will be compensated for any revenue loss from GST implementation for five years.